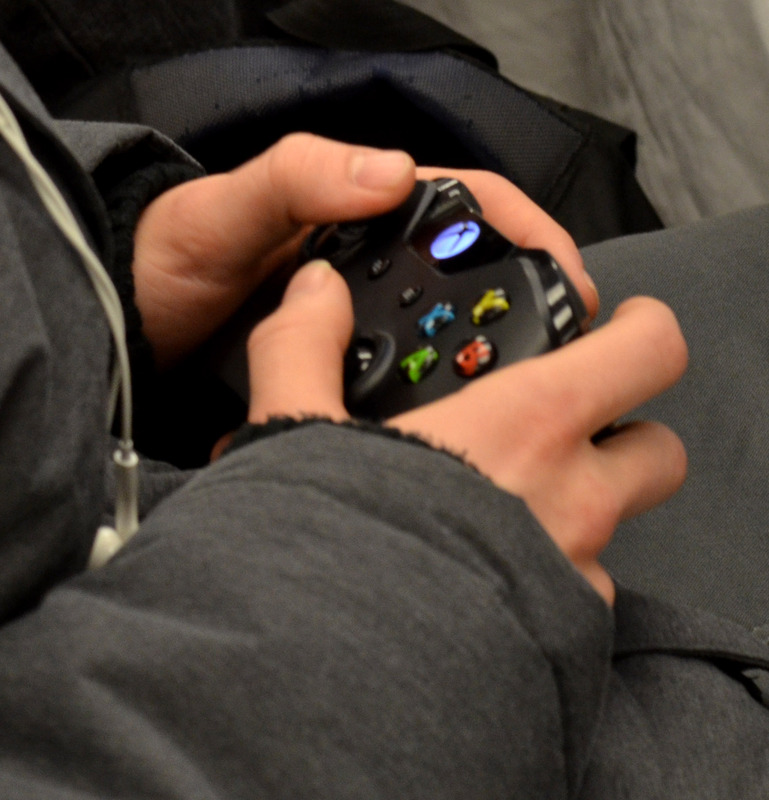 More than 100 gamers brought their skills to the online battlefield. 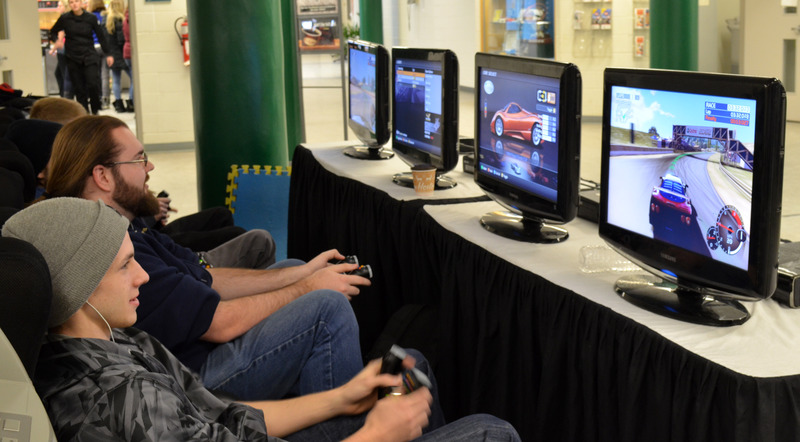 Durham College and We Got Game partnered for their first head-to-head video game competition. We Got Game is a company that brings competition, entertainment and team building to campuses and corporate events throughout Ontario. The Whitby campus has been partnered up with We Got Game for three years prior to this event. The first competition between the two campuses was held on Jan 12. In the Student Association lounges at both campuses, TVs, video game consoles, vibrating gaming chairs and gaming stations were set up. Some of the games included Halo Master Chief Collection, NHL 14, and FIFA 14. One of the big draws was the campus Call of Duty: Advanced Warfare competition. The campuses played 4-on-4 against each other in Team Deathmatch games. (A Team Deathmatch game is where each team fights for the most kills.) Each round went for 10 minutes or 75 kills, whichever came first. According to Doucet, Whitby won by a substantial amount but the exact score wasn’t recorded. Even though Call of Duty: Advanced Warfare was the only game the campuses were going head-to-head on; it wasn’t one of the biggest draws to the event. The loudest profanities and biggest emotions arose from people playing Smash Brothers. Some students who came to the event came just to play Smash Brothers with specific characters in mind to play. 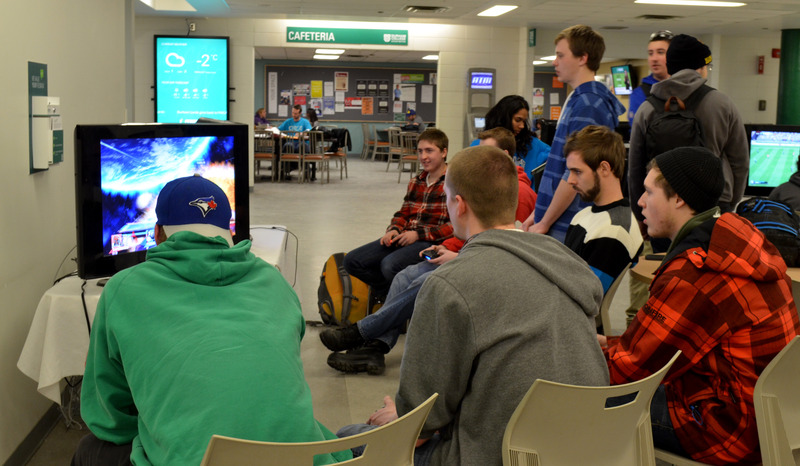 “I know it’s going to sound really cliché but I really enjoy Captain Falcon, he’s the only person I can actually play decently,” said Joseph Paveglio, a Networking and IT Security student at the Oshawa Campus. Miller didn’t care who came out or what they came out to play just that they had fun and enjoyed the event. “We are just here to entertain students and if we can’t do that then we shouldn’t be in business,” said Miller.